The National Community College Aerospace Scholars, or NCAS, program is an educational experience for community college students interested in exploring careers in science, technology, engineering and mathematics. The program provides selected students with a four-day, in-person learning experience at a NASA center. As part of the program, students will participate in a five-week online workshop, consisting of discussions, live video chats with NASA experts and various mission design challenges. Students will then apply for the opportunity to spend four days at a NASA center, getting an inside look at NASA missions and science, networking with NASA scientists and engineers, and developing a presentation to showcase their work to a panel of judges. - Open to U.S. citizens only. - Transportation, housing and meals are provided by NASA. Visit the National Community College Aerospace Scholars website and fill out the online application. NASA's Jet Propulsion Laboratory is a federally funded research and development center managed by Caltech and a leading center for robotic exploration of the solar system. The JPL Education Office works closely with NASA and Caltech, as well as educational organizations and institutions to offer internship opportunities at the laboratory to students from diverse backgrounds and in various stages of their education. 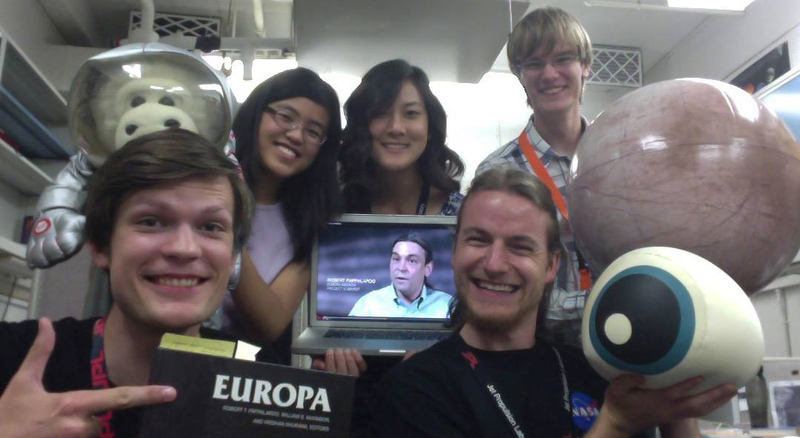 We asked students and fellows to share their favorite memories and experiences at JPL. Click below to read their stories.